Chef’s Notes: Early Spring; a time of rebirth and awakening from a cold winter’s slumber. A time that we all yearn for the new shoots and new flavors while holding onto some of the bright gems of winter. With this is mind we present our cold smoked scallops, butter basted and served atop a coulis of avocado spiked with young wasabi root and the last bits of cool weather yuzu citrus. Finished with crispy local sunchokes, it’s our ode to the warmer days to come. Chef’s Notes: Long a symbol of strength, and in case of the Scots, one of defiance, the humble thistle can be quite stately. 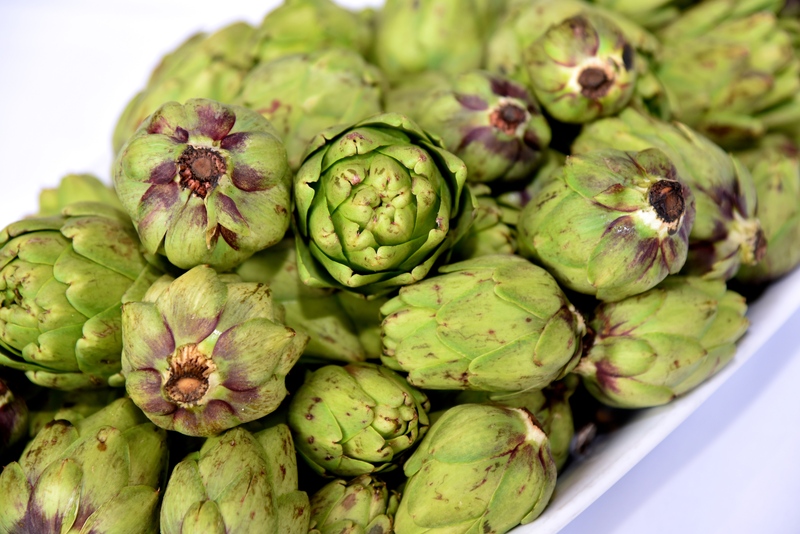 In California one regal thistle has long been a harbinger of Spring, the artichoke. Rearing its noble top across the central coast of our state this time of year, the bitter sweet and nutty delicacy is something we all look forward to. We begin with sautéed turbot, it’s firm sweet flakes playing the perfect foil to an unctuous purée of artichoke, pistachio and Spring green garlic. Served alongside a confit of tiny artichoke hearts and crispy garlic, we indeed feel this is a dish befitting a king. Chef’s Notes: What says Spring louder than the humble pea… but why should the trumpeting of Spring be left squarely on the “shoulders” of only one legume? We thought it time to bring the cousins together. Citrus spiced peanuts arrive to create an incredible accent to our sumptuous pea filled agnolotti atop a pea and mint sauce. Finished off with tiny pea tendrils and borage blossoms, we find it hard to believe it’s taken us so long to bring these wonderful legumes together. Chef’s Notes: Especially when one is prickly, you can be a bit misunderstood. However, those of us in the “know”, see beyond the prickly exterior and into the delicious character of tender and earthy stinging nettles. Abundant in Spring all over Northern California, the prickly nettle is a tasty seasonal treasure. Cooked in cream and crème fraîche and lovingly rolled, our nettles provide the perfect accent to our rich braised Montana beef and slightly sweet jus of local Nantes carrots. Chef’s Notes: As we leave Winter behind, we do come to the realization that there are certain things we will miss. Trips to the snow, being curled up by the fire, the warm embrace of the Holidays, and of course the amazing citrus that graces us each year. With this firmly at our attention, it is time for seasonal citruses last hurrah. Light and airy grapefruit mousse is set off by a tart and tangy Kalamansi jam. Finished with a lightly frosted heirloom grain, kamut and tangy green apple meringue, it’s clear we are not ready to put all things winter aside… just yet. Bon Appetit!